The C230 self-serve sneeze guards are stylish and practical. This style has flat shield supported with Clear or Crystal Clear glass supports so that there is 13" between the shield and the counter. It is possible to follow complex counter shapes using a combination . The C230 sneeze guards have six standard supports styles made from 1/2" Clear or Crystal Clear safety glass. 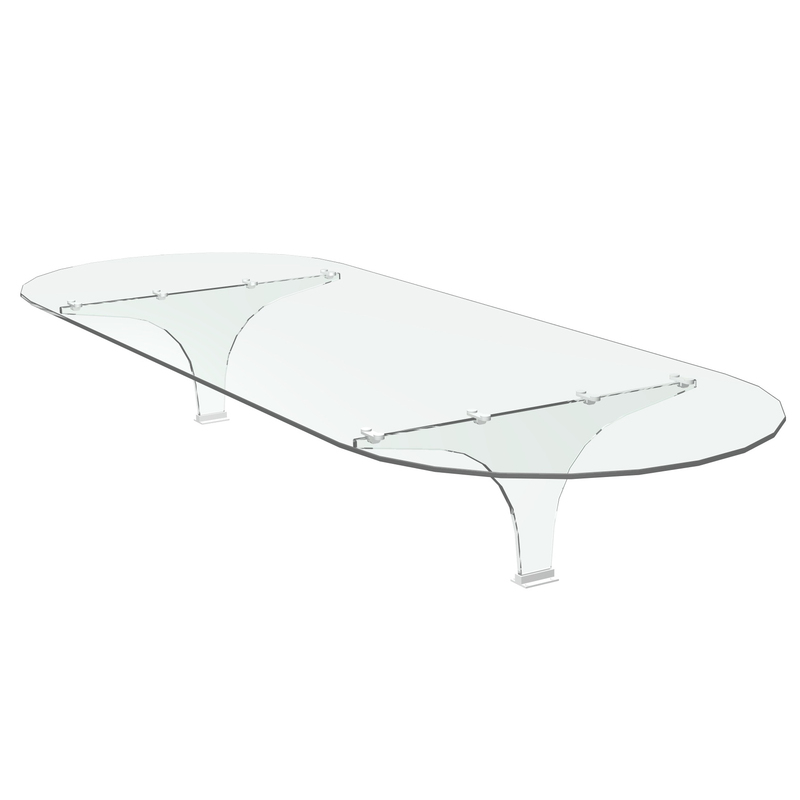 The "Open", "Edge", "Center", and "Sculptured" supports are generally used as interior support.. The "Closed" and "Adj-Closed" support are used as end supports. Model C124A is used for curved sneeze guards. Sharp corners are possible with our specialty corner units which can be joined to C124 or C124A bays.